Ziwei Liu received his B.E. degree in Department of Electronics and Information Engineering in 2013, from Huazhong University of Science and Technology, Wuhan, China. He is currently a MPhil-PhD student at the Department of Information Eingeering, The Chinese University of Hong Kong. 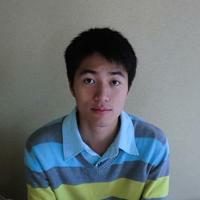 His research interests include computer graphics, computer vision, and machine learning.